Montblanc will launch Montblanc Legend, a new fragrance for men, in April, although it is not expected to appear in the US until the summer. It will be the brand's first fragrance under new licensing arrangements with Inter Parfums. 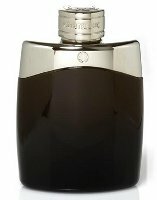 Legend was developed by perfumer Olivier Pescheux; the notes for the fresh fougère include lavender, bergamot, pineapple leaves, litsea cubeba, coumarin, geranium, apple, rose, Pomarose (a dried fruit note "reminiscent of rose and apple pie"), tonka bean, evernyl (mossy note) and sandalwood. My DH loves his Mont Blanc pens – maybe he’d like this? The apple, rose, and vanilla-ish notes sound warm and inviting, and since this was intended for men, perhaps it won’t be too sweet? I mean, I do prefer sweet perfumes, but lately some of mine have been a bit too much for me. I look forward to sniffing this one. I’d assume they’ve done a not sweet version of apple, rose & vanilla. I often like men’s things better than women’s because they’re not as sweet. Robin, i’ve read somewhere that, like Boucheron, Montblanc is working now with InterParfums. This made me think that maybe this one will be like the new fragrances from Van Cleef, well crafted even tough not original. This seems good for me. Yes…I mention Inter Parfums in the article. I’m guessing they’re better off with Inter Parfums than P&G.